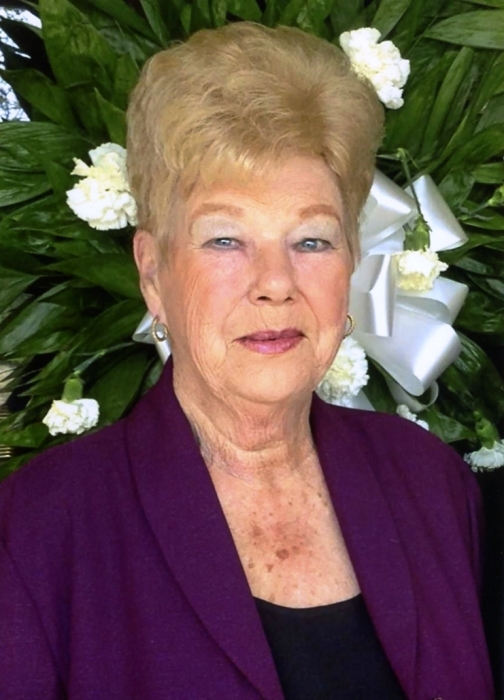 Mrs. Cheryl Vinson Faircloth, 76 of Autryville, passed away Thursday, March 21, 2019 at Cape Fear Valley Medical Center. The funeral service will be held at 2:00pm Saturday, March 30, at Evergreen Baptist Church, 9626 NC Highway 210, Autryville, with Reverend Charles Davis officiating. Burial will follow in the church cemetery. Cheryl was born June 18, 1942 in Cumberland County and was preceded in death by her parents, Rufus and Betty Hair Vinson; husband, Fred Allen Faircloth; brothers, Penny Vinson, Lacy Vinson; and sister, Betty Ruth Caulder. She worked as a Clerk with Short Stop Convenience Store #27 in Fayetteville. She is survived by her son, Charles Allen Faircloth of the home; sisters-in-law, Sadie Vinson of Autryville, Peggy Williams of Davidsonville, Maryland, Willie Joyce Faircloth of Roseboro; and brother-in-law, Oscar Faircloth of Roseboro. The family will receive friends from 6:00-8:00pm Friday evening at Butler Funeral Home, 401 W. Roseboro Street, Roseboro.